Varathane Classic Paste Finishing Wax protects and adds hand-rubbed luster to any stained, painted, or bare wood surface. Especially, great as a protective top coat over Chalk and Milk Paint. This wax produces a hard, dry, oil-less polish. Recommended for furniture, antiques, woodwork, cabinets, doors, panelling and accessories. Deco Art Creme Wax provides a super strong layer of protection, can be buffed to a high-gloss sheen and applied with a brush or cloth. Easy soap and water clean-up. Repair defects on furniture, cabinets, floors and woodwork with White Trade Secret Fill Sticks. These handy 100% wax repair sticks are excellent for filling in deeper nicks and gouges in any kind of finished or unfinished woodwork. Simply rub the sticks into the repair, wipe off the excess and the wax will contour to the repair. The White Fill Stick is ideal for ready-to-assemble furnishings and countertops. Fill, stain, finish and seal minor damage and defects to finished wood furniture with the Trade Secret Touch-Up System for Wood (Mahogany Wood Tone). Fill nail holes, scratches and cracks with the wax Fill Sticks, restore or adjust colour with the Touch-Up Marker and seal repairs to make them permanent with the Crystal Clear Pro Finish. The kit components can be used together or separately depending on the type of repair. Do it yourself...professional results! 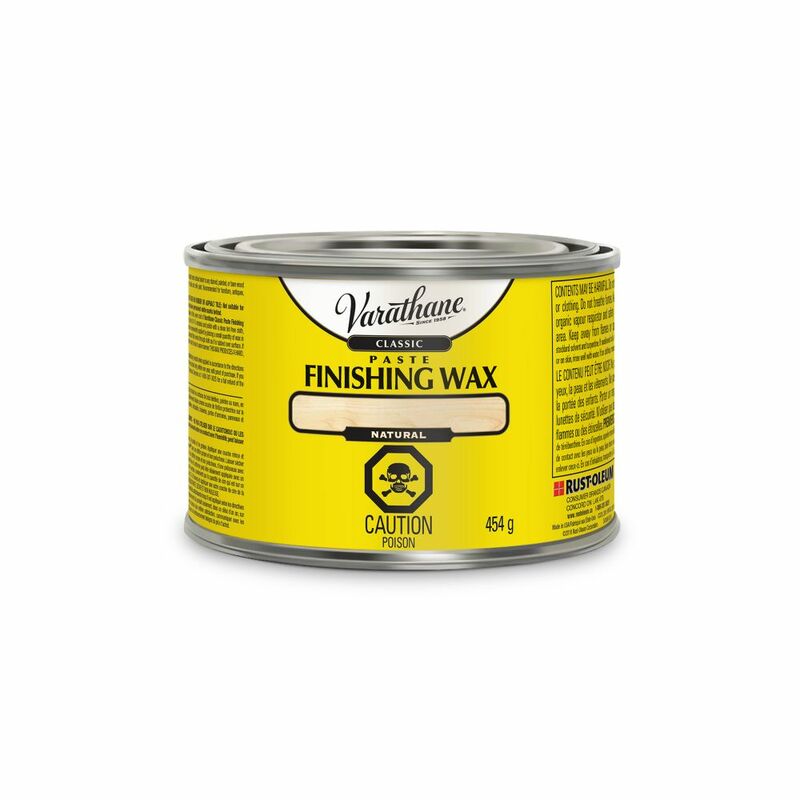 Varathane Paste Finishing Wax Natural 454g Varathane Classic Paste Finishing Wax protects and adds hand-rubbed luster to any stained, painted, or bare wood surface. Especially, great as a protective top coat over Chalk and Milk Paint.